In the original version, Ali Baba was Sindbad. 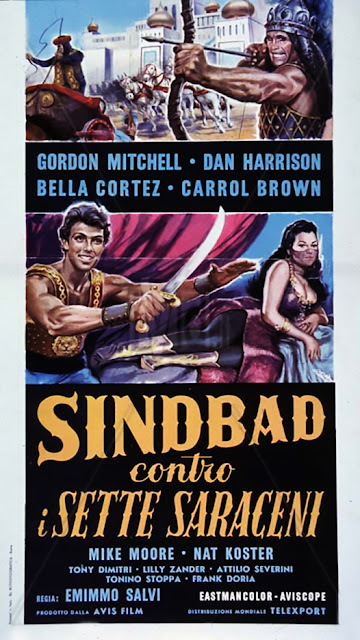 It didn't make much difference since the story takes place entirely of terra ferma, which me wonder why they called it Sindbad in the first place. Poster art captures the spirit of the film.